Organza wedding favor pouches are the perfect portable way to showcase your unique wedding favors. 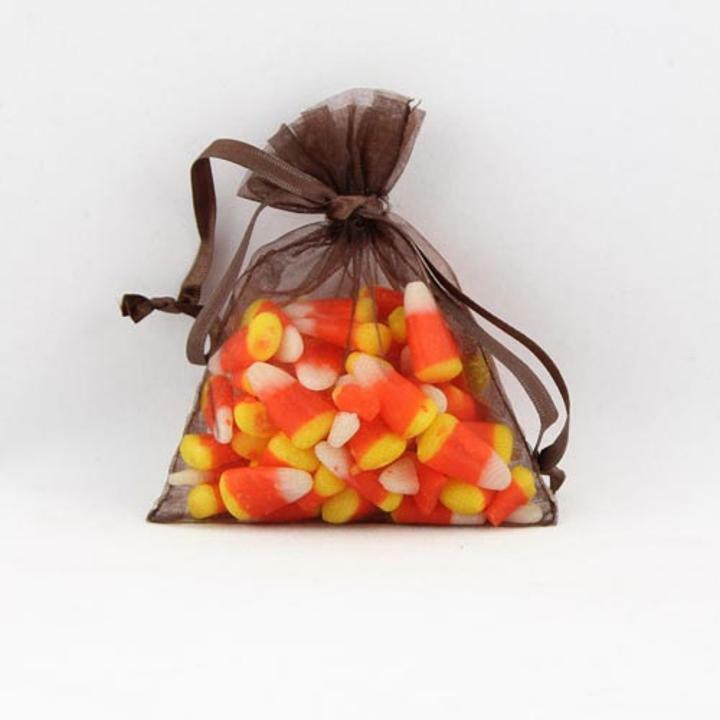 These elegant 4" x 5" organza pouches can be filled with customized candies, chocolates, or wedding favors. 1 package of 12 Sheer Chocolate Brown Organza bags featuring a shiny satin drawstring. Treats and favors not included.